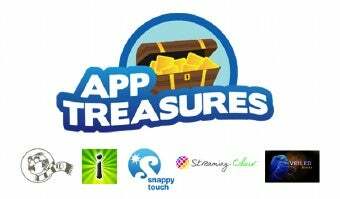 Five independent developers of games for the iPhone and iPod Touch have formed a collective brand, called App Treasures, which they hope will steer more business to indies as larger publishers move into the space. The seal, called App Treasures, will direct users who bought a game carrying the seal to other games listed under it. It wasn't immediately clear if the games' pages within the App Store would carry a graphic branding, or if they would be linked together by keyword. Selection criteria were not specified, only that additional devs will be "carefully considered and hand-picked." "This is our way of combining resources to become a bigger player, while retaining our independence and without any of the drawbacks and strings attached that come from working with a publisher," said Keith Shepherd, the CEO of Imangi Studios, which has published three games to the store. The charter devs, in addition to Imangi, are The Blimp Pilots, Snappy Touch, Streaming Colour Studios, and Veiled Games. The move was announced June 4, and the developers will be in attendance at Apple's World Wide Developer's Conference, where iPhone/iPod gaming is expected to dominate the news.